The female has not yet been named. She is the second offspring of giant pandas Liang Liang and Xing Xing who are on a 10-year loan to Malaysia. The loan began in 2014. The first cub was a female called Nuan Nuan. She was born in August 2015. She was sent back to China last November as part of a deal with Beijing to return cubs born in captivity at age 2. Zoo officials have said the giant panda pair broke the world record for a second baby in four years via natural reproduction. 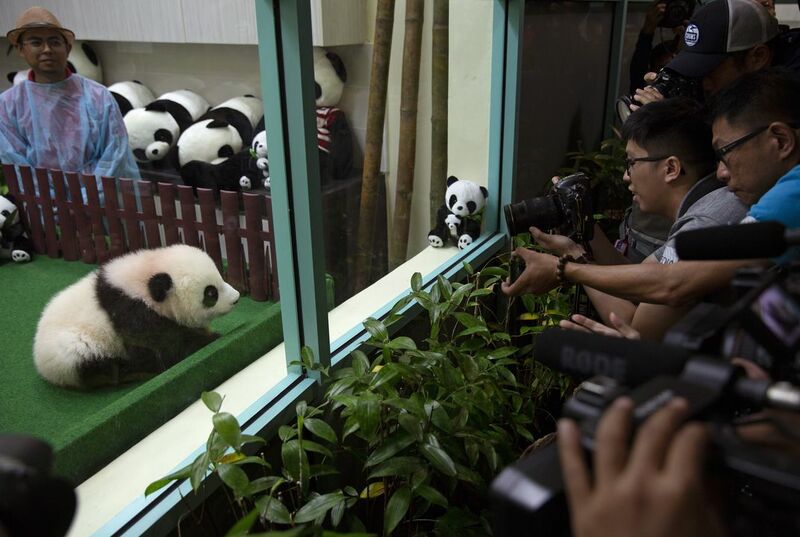 Malaysia's national zoo has invested hundreds of thousands of dollars on a panda complex. It includes bamboo trees mimicking their natural habitat. This came after China loaned the cub's parents to Malaysia, marking 40 years of diplomatic relations with that country. will this is why I think so because they are so cute and the things they do that make the public want to see them? The panda was so cute. It was a very interesting article to read. I love pandas! I learned a lot of new things. This panda is so cute! I love pandas and it made this article very interesting. This so far is my favorite article. The panda is so cute! This was a very cute article.I really enjoyed this article because pandas are very cute,especially the baby panda.She is so fluffy. Baby pandas are so appealing to the public because the are so cute and fluffy. i feel like they are really appealing to the public because many people like cute things and baby pandas are mega cute so the fact that a baby panda is born, the place they are at is going to get lots of attention because of it. I love pandas!!! 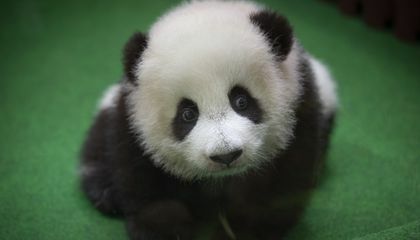 they are so cute.I think that they should be helped before they become extinct, because there population is declining.